In the years 1942-45, the Philippines had a taste of the power and might of the Japanese Imperial Army. Japan was a force to reckon with, having defeated World powers like Russia in the Russo-Japanese war of 1905, and then the mighty Americans in the 40s. It was 3 years of death and sufferings for most Filipinos who could not agree with the "Asia for the Asiatics" philosophy of the Japanese at that time, because we already had 2 Declarations of Independence against Spain in 1898 and the United States in the 30s. 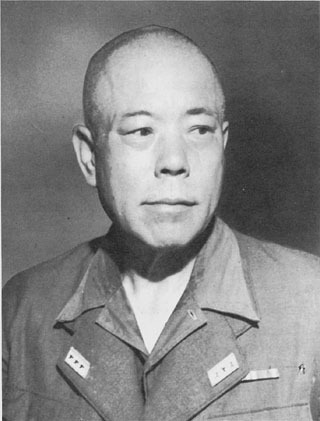 General Tomoyuki Yamashita (known as the Tiger of Malaya)was head of the Japanese Imperial Army here at the very tail end of his country's occupation. Legends abound of the Yamashita treasures said to be buried somewhere in the Philippines but no proof exists even today that there was any treasure at all. When the war ended and the Japanese surrendered to the Allied Forces, General Yamashita was tried for war crimes.
" We must remember that during the Yamashita trial, the Philippines was still mourning over her dead and ruined cities.To this day, not many people know that the general (Yamashita) had ordered a retreat to the mountains knowing it was impossible to defend Manila against the advancing Americans....... The War Crimes Office was established in Manila as it was in other parts of the world. This office held accountable, by sheer command responsibility, high military officials for actions of their men. Even before the war ended, the U.S. was already preparing evidence for the prosecution of their enemies.Yamashita's defense panel was given 3 weeks before the trial to answer 64 counts of atrocities.Two days before the trial , the number doubled to 124 counts! The panel could not adequately defend Yamashita and pleaded for more time, a motion which was denied because MacArthur wanted a speedy trial". The defense panel of Gen.Yamashita consisted of American military men who valiantly defended their famous client. But the judgement has been made long before the trial began. It was a shabby trial with no credible witnesses presented by the prosecution. Some witnesses even testified that the Japanese who committed the atrocities wore caps and anchors which meant that they were Navy men, not Yamashita's men.Later, it was found out that the general knew only about the atrocities after he surrendered and said that if he had known, the men would have been punished. But the end of the story was a hanging for the general .He died in the Philippines and the sentence was carried out by a Filipino ,Col. Arce. Before he died, Yamashita saw his American defenders and thanked each of them for their help. He was in a peaceful, calm mood and even gave parts of his uniform to his lawyers (his belt, his badge,etc.) as a way of showing gratitude for their efforts. He knew that he was going to die, but he stared death squarely in the face. He had no fear of it. He was a true soldier to the end. Source: Ocampo,Ambeth R. LOOKING BACK (Trial by Kangaroo Court pp.8-9).Pasig City, Philippines. Anvil Publishing Inc. 1990.